KBS2 drama series Love Rain starring Jang Geun Suk and Girls’ Generation (SNSD) member Im Yoona has been selected by KBS to be showcased in 2012’s MIPTV held in Cannes, France from April 1st to April 4th, 2012. MIPTV an international gathering of TV and media which serves as a global content market for co-producing, buying, selling, financing and distributing entertainment content. The international trade show is organized annually by Reed MIDEM. According to introduction to Love Rain on official website, Love Rain depicts the different loves of people from two generations, the pure love between two undergraduates during the 1970s, and modern love of their son and daughter in modern times. KBS has appointed Love Rain as a drama to expand the influence of Hallyu internationally, and Love Rain has proven itself with great attention received by it in Japan. 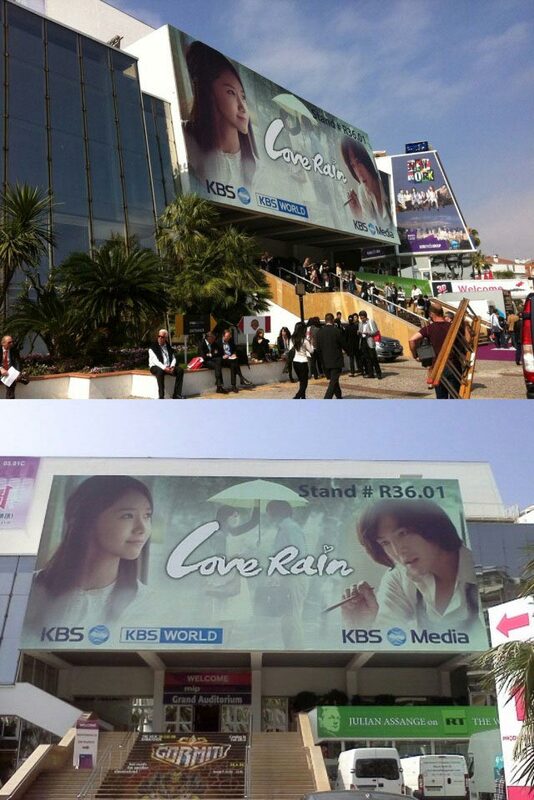 According to professionals in MIPTV, the three main selling points of Love Rain are direct Yoon Suk Ho, Jang Geun Suk and Girls’ Generation.